I don't like doing homeschool in December!!! Unless every lesson is 'Christmassy' or tied into our current plans, it is just that ONE MORE THING to do. Even with just one kiddo now, a Junior in high school, even her self-paced lessons are more for me to do because they still need grading and logging. Every year since we began homeschooling I have thought of just taking December off. I've heard of other families who enjoy this type of reprieve, but we never have. We change up lessons to coincide with holiday plans but otherwise seem to try to truck on as if life is still status-quo... but it's not. So here is an even bigger confession... through the course of this week we filtered our lesson plans down to only 3 basic classes with the intention to start back into regulars in January. I'm not even worried anymore if we get to EVERY.single.lesson by May. I keep remembering that public school rarely ever finishes text books. I am still requiring her to finish her assigned reading, A Christmas Carol, especially since we hope to see the play next weekend. I also gave her a Christmas Themed writing project which is due this next Friday and I will have 2 weeks to grade it! ha. I'm really hoping to wrap up ALL schoolwork by Friday, giving us the ENTIRE week before Christmas off to cook and craft and generally hang out. Brooke likes to keep busy, it is the only reason I left anything in. But she also likes to join in on the errand running, baking, and general Christmas frivolity. I think the new plans will work but next year, even though it is our LAST, I am hoping to remember to reconsider our December schedule. Christmas concert at church. We joined the choir to sing back up for Rush of Fools in our 3-night program which began last night. It has been a BLAST, the guys are amazing, and we are all loving the experience. We have done the choir for other holiday performances at church, but this is the first "rock concert" style experience working with a major band for an event like this. I hope to share more pictures next week. Last night we were mostly getting our bearings about our part. I do have some videos posted on Instagram and will be sharing more there this weekend. If you are interested, come follow! Went to a local mega-sporting goods store to Christmas shop. The girls tagged along and thought they could pull a "twin" moment by donning the same hat and attempting to fool the camera on who was who... except mama is NOT fooled! 4.5 years difference in age aside, I know my girls! I am glad they take pride in the similarities though. Sister love always warms my heart! Brooke went with a MAJOR change when she had her locks lopped off for this stylish do! I was nervous at first but we all love the look, even hubby who typically hates short hair. We won't talk in too much detail about the chop job I've had to endure. Apparently my stylist though I wanted to revive the Mullet! *ugh* I did figure out a way to style it so my retro flare is hidden when in public! Simply: thank you, Lord, for headbands! Her kitty was moping. She took a homework break to show some compassion! Another kitty moment! Hubby's new cat still loves those naps, especially when studies are happening and he knows we aren't going to be on the move! We are buckling down on the Rules of the Road since she tests for her permit a month from tomorrow. I started sharing a sort of un-official pictorial series on Instagram with daily scripture and/or poems and thoughts from my Advent study and the Everything Christmas book I reviewed a few years ago. It has been fun and inspiring even for myself! The kids and I are walking out the Advent study together which I wrote (see the end of this post if you want a copy). I love hearing their Biblical insight when we get together each Friday to discuss what we have studied. We look forward to a bit of a slow-down next week. Hopefully we can focus better on the schoolwork we have remaining. I do need to write, print, address and mail our family newsletter!! I guess that is sort of a big job, I will employ help! I've waited because hubby interviews Monday for a new job and I don't know whether or not to include the results in our annual update. The week after will really re-ramp up though, as we bake goodie gifts and prepare for Zach (and possibly my mother-in-law) to be in town for Christmas on the 21st. 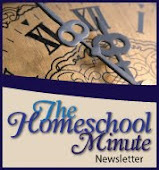 How are you maneuvering the holidays in your homeschool? 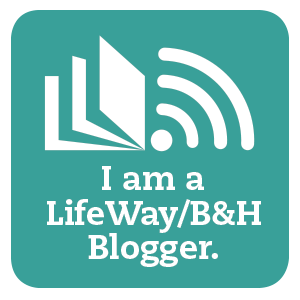 Looking for an Advent Bible Study? It's not too late to jump in. Option 2:Subscribe to my newsletter by December 20th and I will send you December's issue which contains the Advent Study along with other great articles and FREE printables!